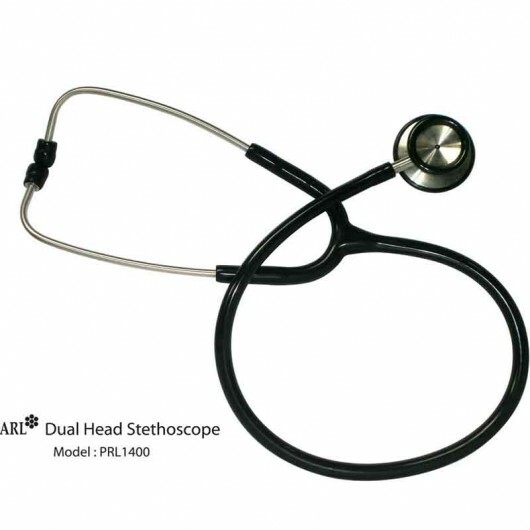 Dual-Head Stethoscope is used to detect and study heart, lung, stomach, and other sounds in adult humans, human fetuses, and animals. Using a stethoscope, the listener can hear normal and abnormal respiratory, cardiac, pleural, arterial, venous, uterine, fetal and intestinal sounds. Diaphragm mode for high frequency heart sounds. Bell mode for lower frequency lung sounds. Chest piece can be rotated. This is the most popular stethoscope.